Located in the verdant environs of the Titilagarh sub-division in Balangir district, the twin villages of Ranipur-Jharial bear strong traces of their ancient heritage. Also known as 'Soma Tirtha' in scriptures, the archaeological site dates back to the 9th/10th century AD, pertaining to the reign of Somavanshi keshari kings.Saivism, Vaisnavism, Buddhism and Tantrism obviously enjoyed a great deal of influence in the region. The Hypethral temple which is one of the four remaining rare monuments of 64 Yogini shrines provides a glimpse into the religious sand occult practices from the medieval times that are still alive in Odisha's tribal traditions and folklore. The temple houses sandstone images of the three-faced Shiva embracing Parvati, standing at the canter of the temple encircled by 64 images of the Yogini goddesses in various positions.It is one of the four famous Yogini temples in India. The other three are located at Hirapur (near Bhubaneswar), Khajuraho and Bheraghat (near Jabalpur). The finest specimen of a brick temple is the 20 metres high Indralath temple. 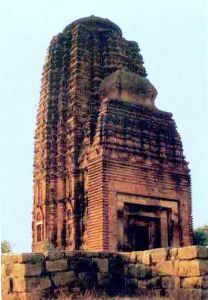 It is one of the tallest brick temples of ancient India and one of the most remarkable Odisha temples.